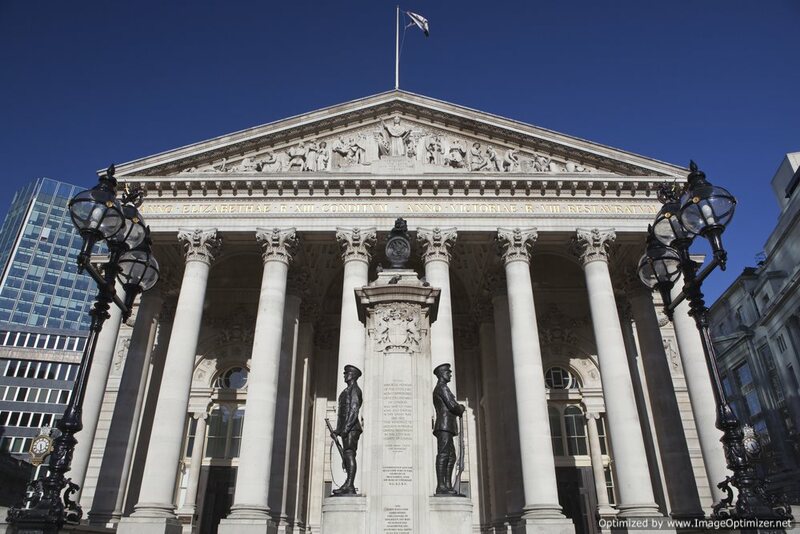 What is the London Stock Exchange? • The London Stock Exchange is a marketplace where investors come together to buy and sell stocks and other investment securities. Located in London, England the London Stock Exchange, as of December of 2010, has a market capitalization of roughly $3.65 U.S. dollars—a figure that makes the London Stock Exchange the fourth-largest exchange in the world. • The premise of the London Stock Exchange and investing in general arose when the need to finance war efforts and voyages became paramount. To reach China via the White and sea and for the East India Company to travel to India and east, the trading of stocks was utilized to spark business and fuel the economy. Unable to finance such lofty journeys in the private sector, English companies raised money by selling shares to merchants and wealthy citizens, giving these individuals a right to a portion of any profits they eventually made. • This idea of investing in a company quickly caught on; by 1695, England featured 140 joint-stock companies. During this time, the trading was centered in the City’s Change Alley, where investors and corporate executives would gather in coffee shops to exchange and affirm share purchases. To streamline the growing the operation the London Stock Exchange evolved and moved to its current premise, satiated in Paternoster Square near St. Paul’s Cathedral in downtown London. • In December of 2005, the London Stock Exchange rejected a 1.6 billion Euro takeover offered from the Macquarie Bank. Shortly after this rejection, the London Stock Exchange received an unsolicited offer from NASDAQ, which valued the London Stock Exchange at approximately 2.4 billion Euros. This offer (and additional offers by NASDAQ in the upcoming years), although significantly higher, was rejected yet again. That being said, a few weeks after the second rejection for a purchase, the London Stock Exchange’s largest investor sold 35.4 million shares at 11.75 pounds per share to Ameriprise Financial. NASDAQ also purchased a large chunk of the London Stock Exchange following this transaction; the London Stock Exchange was always a target for purchase in order to limit the Exchange’s strategic flexibility. • In February of 2011, the London Stock Exchange announced that they had agreed in principal to merge with the TMX group—the parent company of the Toronto Stock Exchange. This proposed deal would create an entity with a market capitalization of listed companies equal to nearly 4 trillion U.S. Dollars. • The London Stock Exchange has four primary areas: Equity Markets, Trading Services, Information Services and Derivatives. The London Stock Exchange’s normal trading hours are from 8:00 am to 4:30 pm every day of the week except holidays and weekends declared by the Exchange in advance. As of December of 2010, the London Stock Exchange is home to 2,713 companies.